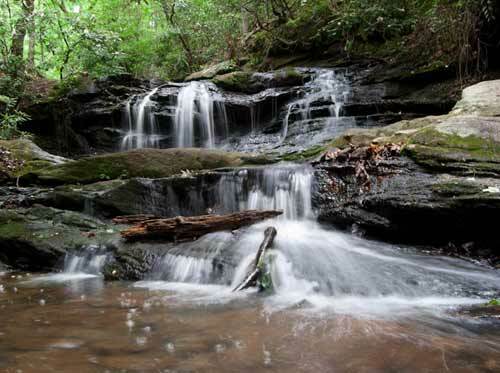 Pleasant Ridge Falls is located in Greenville County‘s Pleasant Ridge County Park, about five miles from Jones Gap and Caesar’s Head state parks. The double-tiered falls are smaller than others in the area, but still provide a picturesque setting to be enjoyed by locals and visitors alike. The first section drops eight feet down a tiered cascade, then flows another 25 feet before coming to the second tier, at which point it plunges another 15 feet!